Moving on! 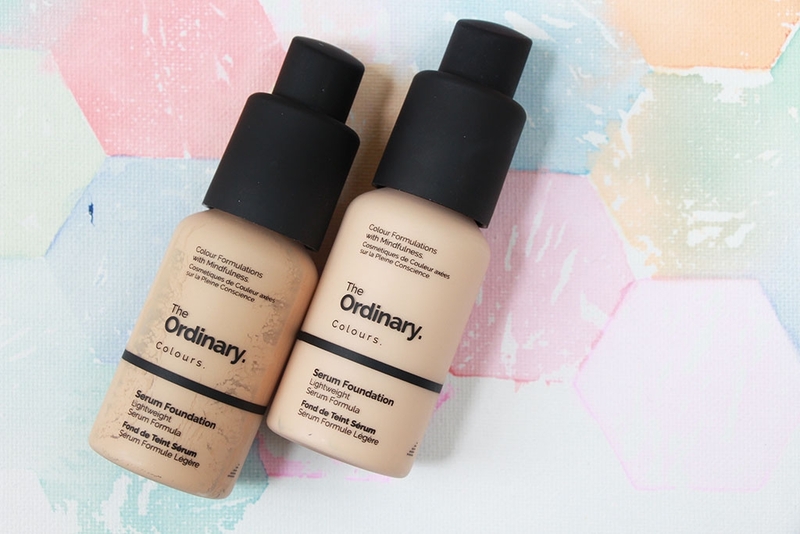 The Serum Foundation claims to be a “lightweight medium-coverage” with a “lightweight serum feel.” Absolutely agree with both things! It’s also buildable which is fantastic, especially if you’re like me and have a lot to cover! 😄 It claims to have a semi-matte finish which is pretty accurate. Perhaps best of all (price aside) is that it’s available in 21 shades!!! Their way of classifying a shade – light, medium, deep – as well as undertone is spelled out on the website so I won’t go into much other than to say they seem to have everything from quite light all the way to pretty deep with warm, cool and neutral undertone options. I’ve been using the shade 1.2N, which is the lighter shade above. The deeper shade is 2.0N for reference and it needs a good shake (the separation you’re seeing is to be expected and mixes back together easily). The Ordinary is also planning to add even more with enhancers and highlighters!!! Currently they do offer a silver as well as some gold undertone shades as well for a bit more of a glow. Absolutely knocked it out of the park on the shade availability! Quickly let’s talk about the packaging. It is a plastic bottle with a plastic pump, so it does feel cheap. However, it is light-weight making it droppable as well as great for travel. Probably my favorite feature is that the pump has a twist-to-lock feature so if you throw it into your bag, it’s rather unlikely that it’s going to magically find a way to spill…and again, no glass to shatter either. There isn’t a cap to the bottle so I guess the twist-close feature is a bit of a necessity, but I think it’s always a great idea because caps fly off all the time! I really like the packaging, but it definitely does not feel expensive if that’s important to you. Alright, getting on to application. I almost always start with one, maybe one and a half pumps for my entire face. 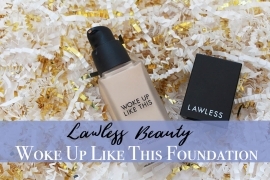 Though this foundation is quite thin, it is also intensely pigmented. Basically the thin consistency spreads the high concentration of pigment out seamlessly making for a beautiful marriage. I have tried my fingers as well as a Beauty Blender for application, but not a brush. I’ve just fallen out of love with brushes, plus I feel like this works so well with a Beauty Blender that I see no need to try other means! With just fingers, it blends well and looks fine, but I do feel as though I find more transferring throughout the day because the product is just not as well adhered to the skin. It absolutely works though! So obviously my preferred method is with a Beauty Blender. I should say beauty sponge because I’ve also been using the Flower Beauty Ultimate Sponge and it works brilliantly as well! 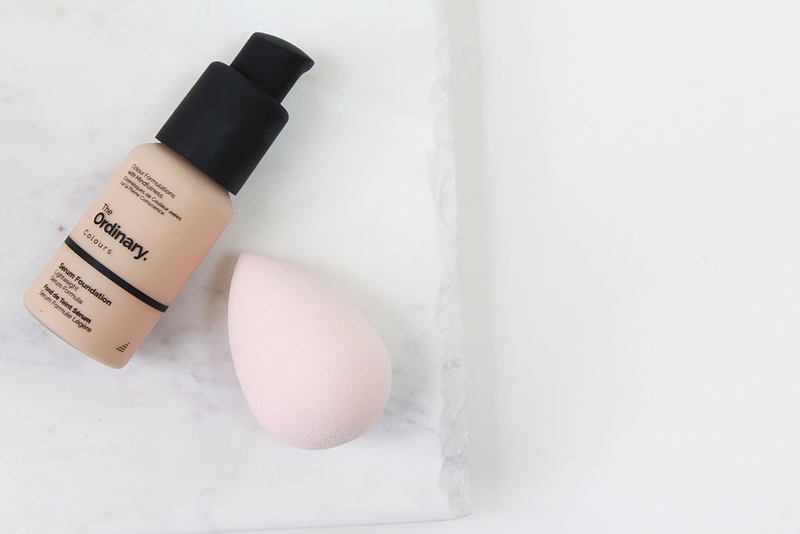 Seriously, great Beauty Blender alternative for about half the price! 😄 Anyway, I dab the foundation over my face first because that’s just what I tend to do and then go in with a damp, but very well rung-out beauty sponge and just press the foundation into my skin. It blends in quickly and easily with no issues what-so-ever. It is also not one of those foundations where you need to move super fast before it dries, nor does it take ages to dry. Kind of the perfect balance in consistency, coverage and texture! 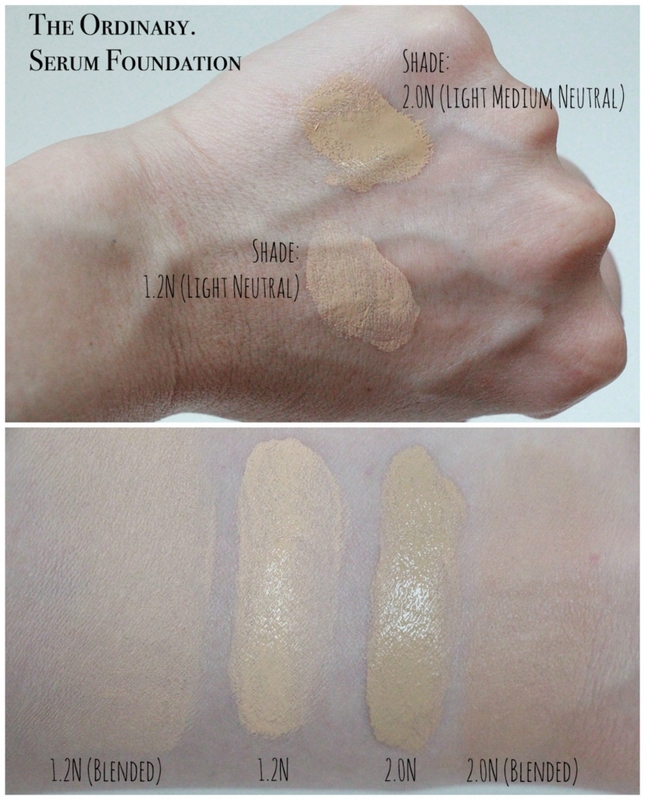 The coverage is indeed medium in my opinion and it looks very natural and skin-like after applied. Since I have a lot of problem areas on my cheeks that are more than I want to deal with using just concealer, I will take maybe half of a pump more and dot it just where I need it (aka my cheeks) and blend some more. Works like a charm! I’ve also tried using the Coverage Foundation as a concealer and that works wonderfully as well, but that’s for another day! If still needed, I’ll go in with concealer on dark / acne spots and, of course, under my eyes. As I mentioned, the finish is quite natural – not too glowy, not too matte. I feel like it’s just perfect! I also feel like the consistency of this foundation will work well for a wide range of skin types. It’s not overly hydrating, nor is it drying. It feels very light and virtually non-existent on the skin. It also does not accentuate pores or texture which is a must in my book! As far as wear goes, I do find that this gets just a tiny bit shiny throughout the day on my combo-turning-oily skin, but that’s actually doing well for foundations on my skin! 😄 It definitely can break down a bit by the end of the day without touchups, but it never really looks bad. I feel like those with less oily skin would have no issues with the wear. For me, I would say this still looks pretty damn good after 8-10 hours, which is really all most people need anyway. 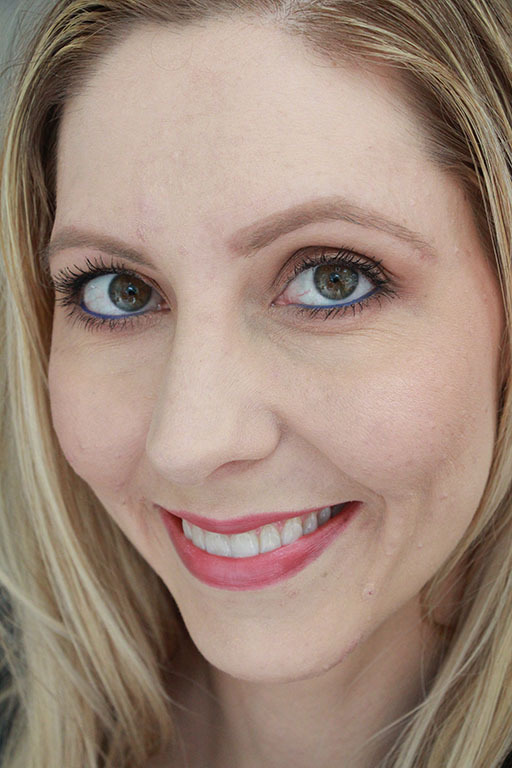 I don’t find that the foundation transfers, smears or otherwise disappears from my skin. 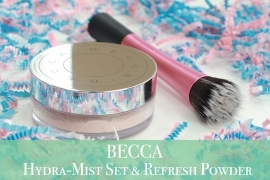 It can just get a bit oily eventually and may start to break down without blotting. No big deal and nothing I wouldn’t be willing to deal with. The verdict? I really, really love this foundation! My only concern is the high silicone content and the breakout-potential because of that. As I said, I’m not sure that it’s contributing to my breakouts – in fact, I suspect it’s not because it’s not something I’ve been wearing every day. It is something to keep in mind though if you’re sensitive to silicones. 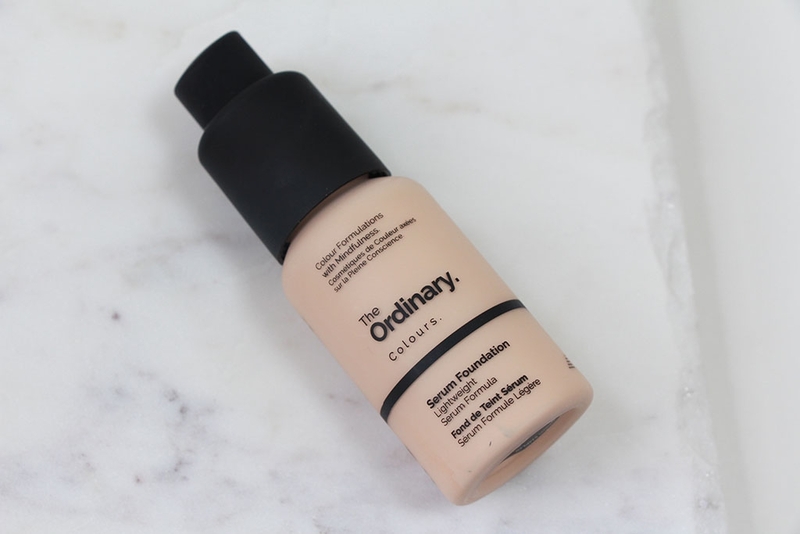 Other than that, The Ordinary’s Serum Foundation has everything going for it! Great coverage, nice finish, easy to apply, buildable, natural-looking, super comfortable, good wear, great price! 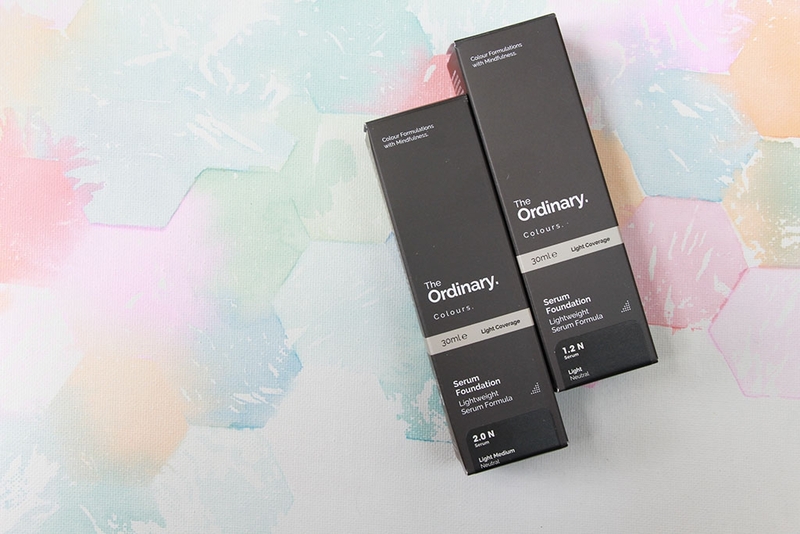 🎉 If it’s a product you’re interested in, I highly recommend going to The Ordinary’s website and signing up to be notified when it’s back in stock…and then jump on it when you receive notification because it is in seriously high demand! For the less than $7 price tag, I definitely think you should give this a go!! !